Singaporean hospitality whizz Loh Lik Peng, founder of Unlisted Collection, has masterminded some of the world’s most dynamic boutique hotels, restaurants and bars, collaborating with architects, designers and chefs from Singapore to Shanghai and most recently Sydney. 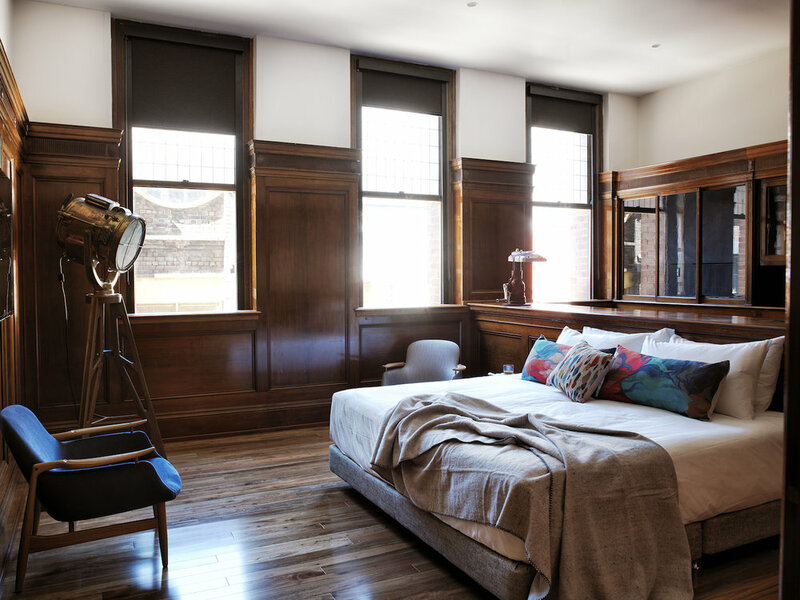 What inspires your love of boutique hotels? Our properties are usually located only in conservation buildings or buildings with a lot of character, which gives our guests an authentic experience of the city. I like these difficult old buildings. The original Sydney building housing The Old Clare Hotel was built in stages, starting from the early 20th century to the 1930s. It’s very complex and conservation listed, so the regulatory process was tough. I am delighted with the finished result and feel we’ve created something unique. What was your design vision for The Old Clare Hotel? I liked the idea of working in an old brewery with a strong local heritage. I was really attracted by the raw industrial feel of the building and the locality. My vision was not to over-restore it, but to maintain the grittiness and the industrial, urban feeling of the building while respecting its unusual history. You can still see and feel its original character even as you sleep in the most comfortable of environments. We have cleaned the old lady up nicely but I hope she still retains the atmosphere of her brewery and pub past. Which details are you particularly proud of? I hope people just appreciate the original features of the hotel and some of the interesting heritage rooms. The Old Clare Hotel has these amazing art deco curved windows, original timber panelling and intricate plaster air vents. The structure is all macho bricks, steel, concrete and big timbers and I love that industrial character. We worked with some great collaborators too. Tell us about the restaurants and bars launched alongside the hotel. 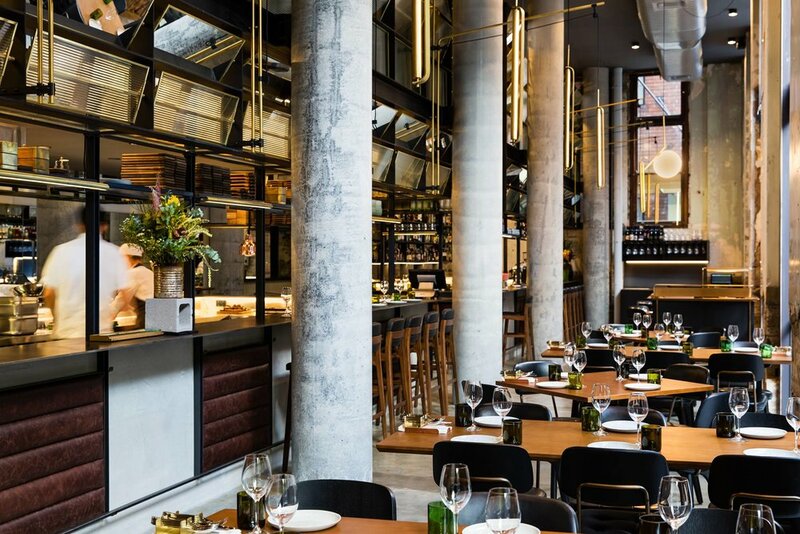 We have two very special restaurants – Automata and Kensington Street Social – on site, and we also have a Rooftop Pool and Bar and revamped heritage bar The Clare serving some of the best cocktails in Sydney. 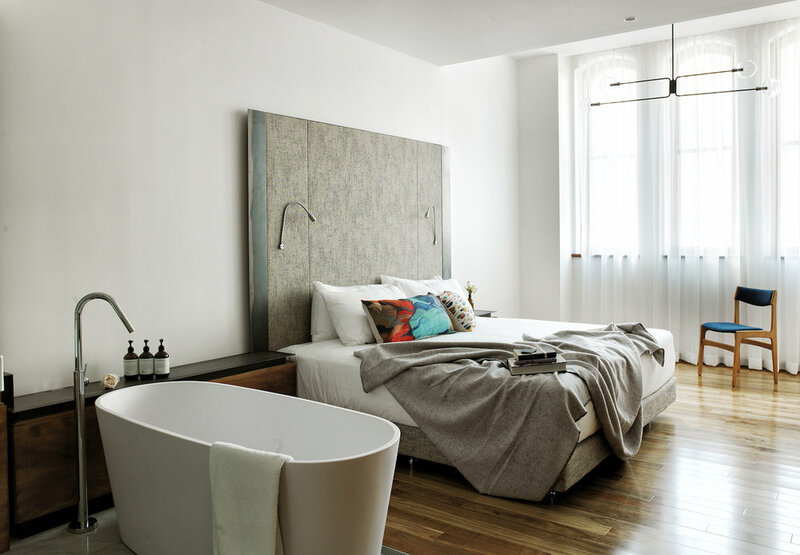 What attracted you to the hotel's location in Chippendale, in Sydney's inner-south? Chippendale is filled with interesting designers and galleries, such as contemporary Chinese art showcase the White Rabbit Gallery, which I find really inspiring. I’m excited by Chippendale’s authentic and local feel. It’s a very low-key neighbourhood that has its own thing going on and its own local scene. I hope our guests just go and explore Kensington Street and the wider area, as they have so much to offer. I’m inspired by authentic locations, places that have a sense of localness, grit and edge. I've sited previous hotels in town halls, old schools and old warehouses – and having one in a former brewery appeals to me very much, especially since the Carlton & United Breweries has such a long association with New South Wales and Sydney. I’m fascinated by unloved heritage buildings in these vibrant local neighbourhoods and I think The Clare/C.U.B. and Chippendale have this character in spades. 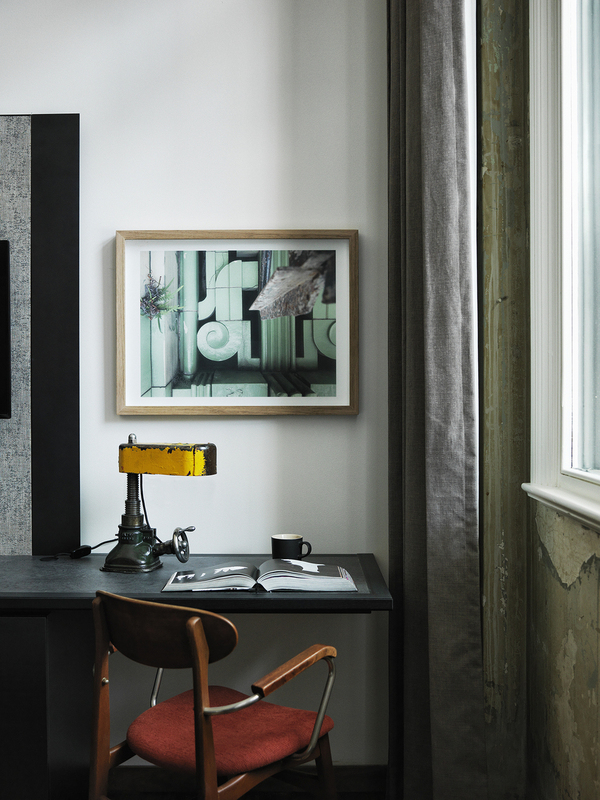 My design heroes include Hans Wegner, Arne Jacobsen and Finn Juhl. What's currently exciting you in design? I’m really into small craft producers at the moment. I love handcrafted Japanese ceramics and Korean lacquer. 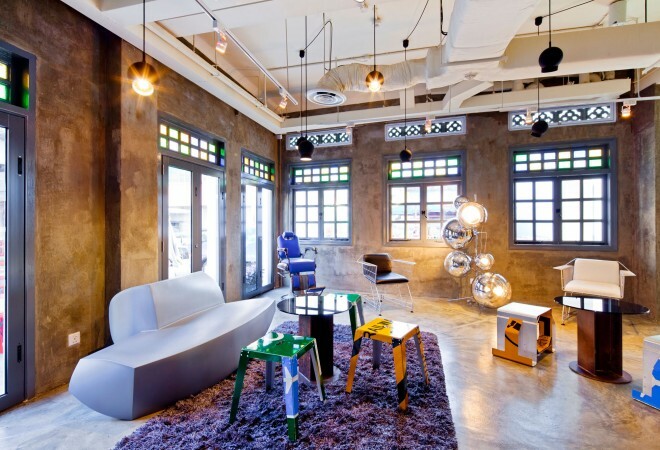 What should design fans see in Singapore? The old Supreme Court and City Hall buildings have now been turned into the National Gallery Singapore, which showcases great architecture and South-East Asian art. I also love Singapore’s National Design Centre as it always has an interesting programme. Both have brilliant gift shops! My all-time favourite resort hotel is the Post Ranch Inn in Big Sur, California. Facebook for keeping in touch with friends and Instagram because I love visual mediums. For news on our hotels and restaurants, follow Unlisted Collection.